FREE Coat & Bedding Gift~Away! 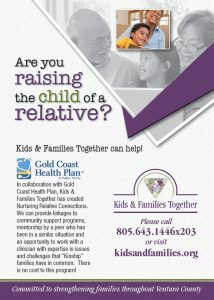 Come check out what we have for Foster/Resource, Kinship & Adoptive Families. We will also have clothing, personal care products & more! Where: Kids & Families Together, 864 East Santa Clara St., Ventura CA 93001 (Back of building).